Check this off my bucket list! 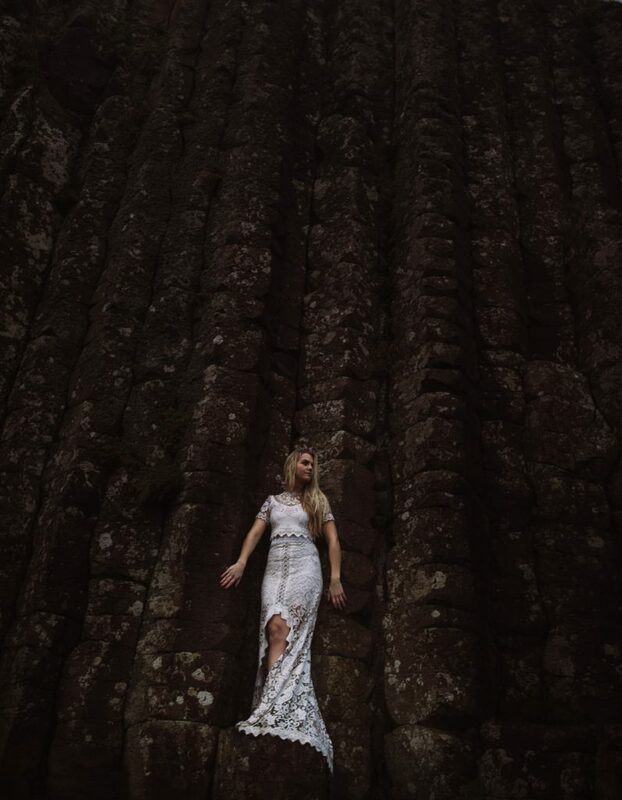 I got to shoot a Giant’s Causeway Bride!!! This Europe trip has been awesome! I have always wanted to visit and see Giant’s Causway. Saldana Vintage is an amazing dress company that donated some dresses for us in this workshop, this two-piece dress was perfect for the location. 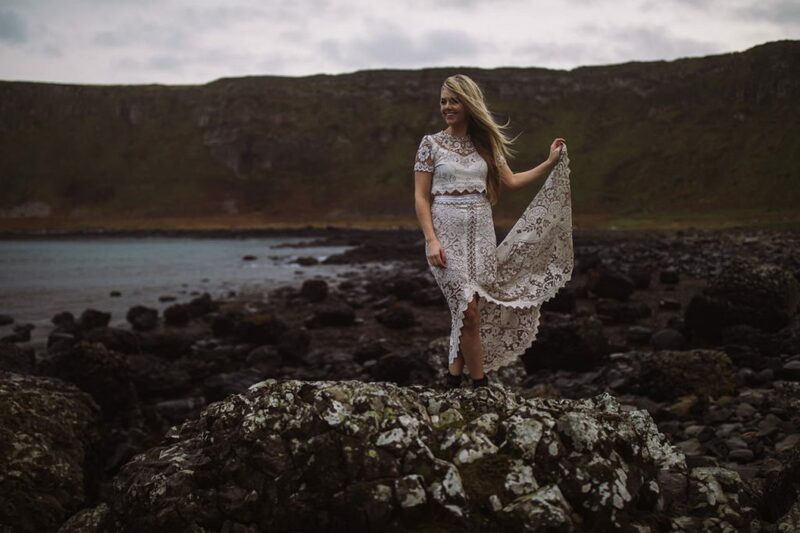 Ireland has some gorgeous scenery that paired perfectly with this dress. 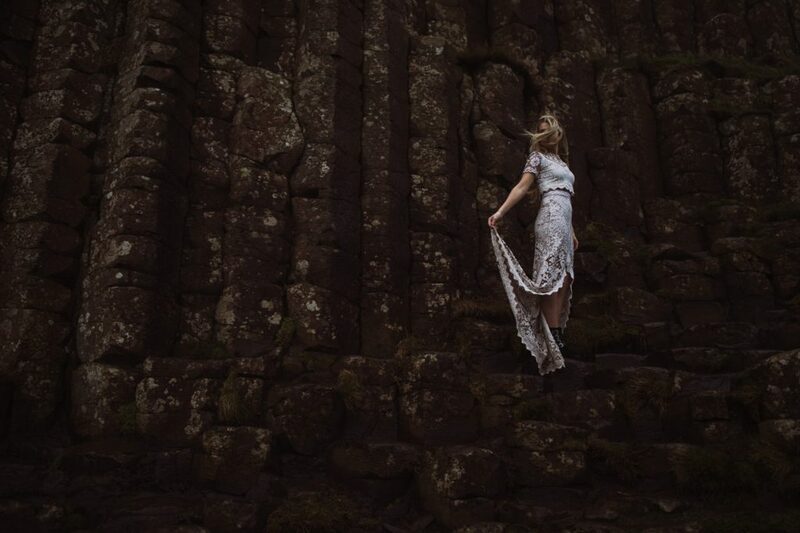 Also… if you get a chance to visit Giant’s Causeway- make a stop. 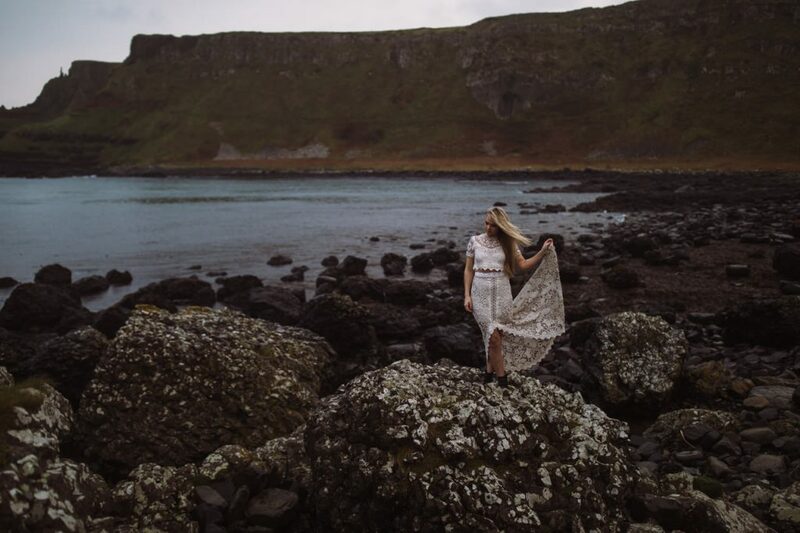 This stop we focused a lot on shooting bridals here at Giant’s Causeway. The weather did not want to cooperate much which made the class so much better. Not only did we teach on shooting bridals and posing. More importantly how to work with bad weather and posing for situations which aren’t as ideal. Our model here was such a trooper. You cannot tell from the photos but it was windy, cold and raining and she didn’t complain at all. Runaways Workshop in Europe was so much fun! I’m honored that so many people were interested and wanted to attend. 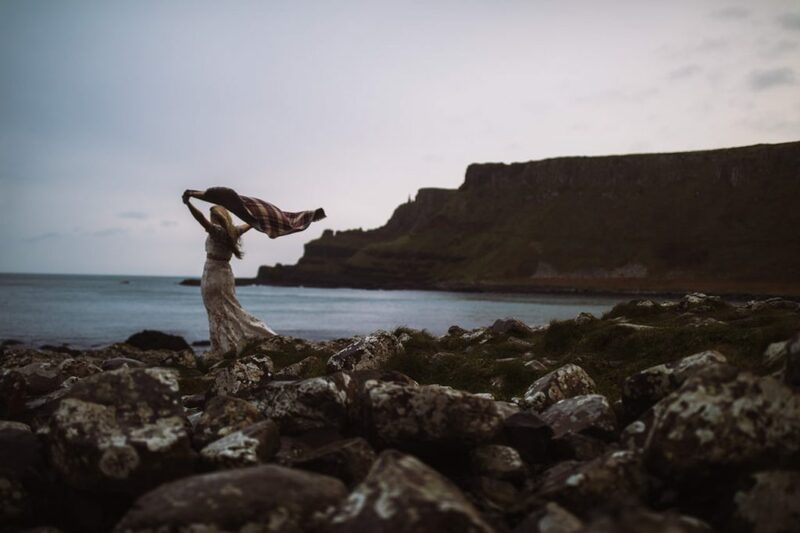 Northern Ireland has always been one of those places I have dreamed of going, so needless to say I was ecstatic when we decided to stop at Giant’s Causeway. 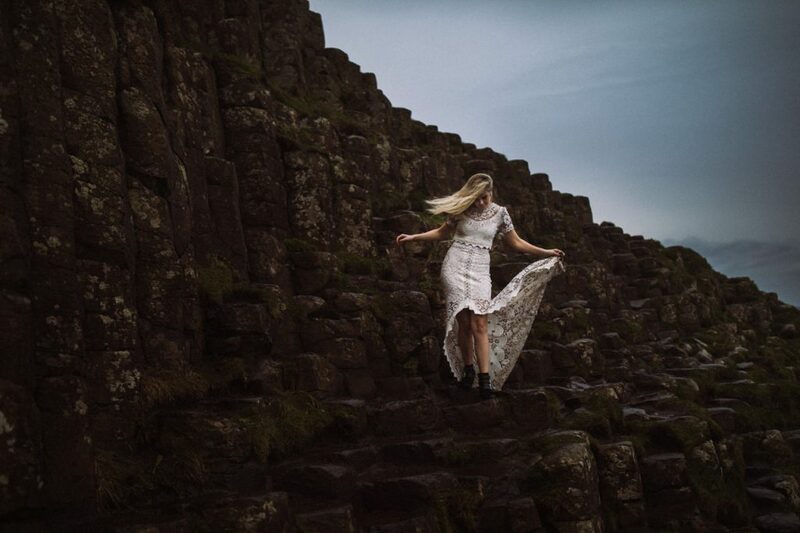 The icing on the cake was I got to do a Giant’s Causeway Bride shoot too!  The Runaways workshop is typically a series of one-day workshops. The class and information is catered to the attendees on what they are looking for or needs the most. It’s more similar to a one on one mentoring session than the traditional workshops. 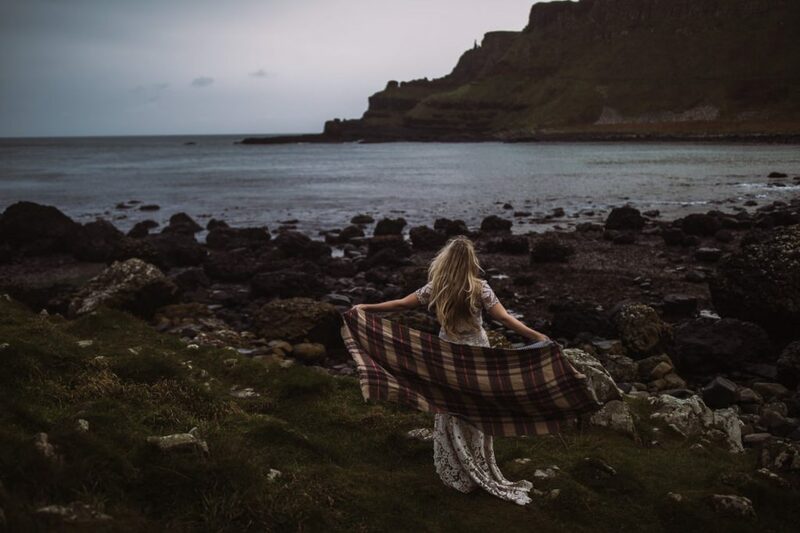 One thing I need to say also… right before you get to the Giant’s Causeway parking lot, there is a pull off and a food truck that sells the BEST grilled cheese sandwiches you’ll ever have. Maegden is the name of the food truck and they had just opened up a week before we visited. You won’t regret it! These are insanely gorgeous and I need to buy that dress RIGHT NOW. what an incredible place of this world!! That dress is amazing! I love how they have become more comfortable and the texture that the lace adds just makes it amazing. Beautiful work Chad! *questions what I’m doing with my life. Packs suitcase for Europe! WOW! Amazing! 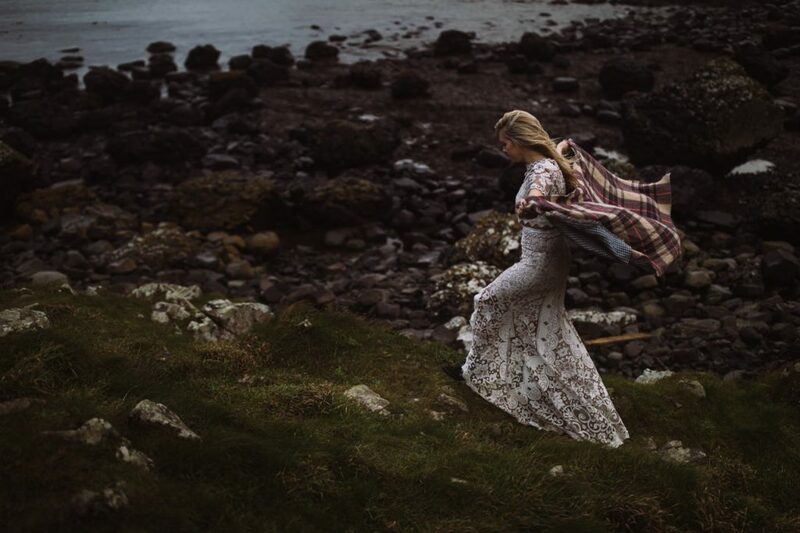 What a stunning location and subject! It must be fun to travel so much! I have to say this is my favorite workshop that I have ever been on! The people, the knowledge, the location. You and Twyla were so open and warm. I can’t wait for the next one! !